Are you getting a refund this year? 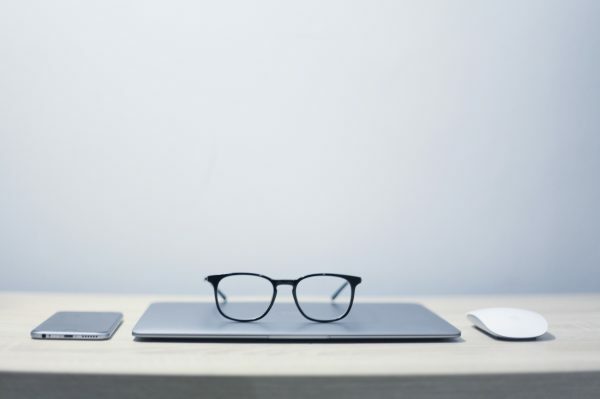 In this article, I’ve put together a list of smart places to use your tax refund so that you can make the most of your money. Do you know what the average tax refund was last year? According to the IRS, the average tax return was $2,899. This really depends on your financial circumstance. There isn’t a cut and dry answer because everyone’s situation is different. Maybe you have debt. Perhaps you are behind on your bills. Or, maybe you are debt free and already have a savings fund. So what next? Keep reading and I will tell you the smartest ways you can spend your tax refund this year. This post contains affiliate links which means that I earn a commission if you make a purchase through this site. Please visit our disclosure page for more details. The best thing you can do with your tax refund when you are behind on bills is to catch up. Forget about the new TV or the new shoes. Get caught up. Late on your mortgage? Make that extra payment to get current. Have outstanding medical bills? Go ahead and get those paid off before it goes to collections and has a negative effect on your credit score. When you are behind on your bills, not only does it negatively affect your credit score and report, it makes it much harder to dig yourself out of the hole you’ve made. If you are current on your bills and you’ve paid back the people you owe, then it’s time to save. Start to build your baby emergency fund. This is the savings account that will save you when you get a tire blowout on the freeway. Or when your HVAC starts acting up and needs a new filter. If you don’t have an emergency fund, you’re probably going to put it on credit. Don’t do it. Instead, borrow from yourself and pay yourself back. Read: How Much Should I Save for My first Emergency Fund? If you have been putting off something important like dental work, a medical procedure, or tires for your vehicle then you can use your tax refund to get these things taken care of. Don’t let your health despair because you want to save some cash. If you wait too long, I can guarantee you, it will cost more the longer you wait. Be very honest with yourself here about needs versus wants. If you are having trouble deciding, hop on over to my special group on FB where you can post a question like this to like-minded women and moms for another point of view. Once you are current on your bills, don’t owe anyone (friends/family) any money, have your emergency fund in a safe place, and have purchased the important things you need, then you can start using your tax refund toward paying off debt. In my debt-payoff journey, I used the Snowball Method to become debt free. This is where you list your debts in order from smallest to largest, then start by paying off the smallest debt first. Your payment will get larger and larger as you pay off more debt. In hindsight, I wish I would have used the Avalanche Method as I would have paid less in interest over time. You can use a cool tool called UnburyMe to figure this out. It’s a free calculator that figures out how much you will pay and how long it will take for you to pay off your debt. I wish I had known about this before. Let’s say that you have completed all of the above already. Good for you! You are among one-third of debt-free families (aside from mortgage). Get your sinking funds started. There are many things you can have a sinking fund for. Instead of paying a big chunk out of pocket for these expenses, start putting a little money away each paycheck for the future. The Save Your Refund Sweepstakes is a movement to encourage Americans to save money. It is sponsored by Common Wealth and America Saves, two very lucrative finance organizations to helping Americans build a better life. Get your taxes filed, then when you get to the end, fill out the Form 8888. You will need to split your tax return and at least $50 will need to go into a qualified savings account. Then, you will go to SaveYourRefund.com to enter to win one of 10 $100 prizes or one of 2 $10,000 grand prizes. You get a little nudge to save PLUS a chance to win some cash! P.s. this is not sponsored. I just think it’s a great idea. P.s.s. 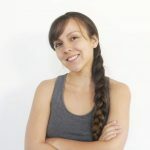 If you haven’t already joined the Simple Money Mom email list, girl you are missing out. I send out periodic emails filled with tips and resources to flourish both in motherhood and finances. 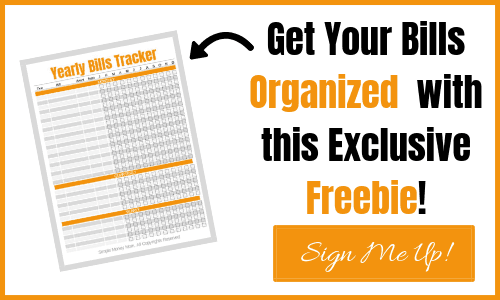 Sign up below and you’ll receive this Yearly Bills Tracker just for joining! Investing in your retirement should be something you are already doing. If you are not investing in your future, I highly suggest you start, like yesterday. Investing in a Roth IRA has its tax advantages. For example, you put in contributions at the current tax rate. Then, when you go to withdraw your funds, you will be able to get your money tax free. You can fund this account up to max of $6,000 per year (per 2019 updates). If you aren’t already investing in this financial vehicle, then I suggest you start as soon as you can. First, contribute as much as your employer will match. Most companies will match 2-4%. There are some companies that don’t match and there are some to match more than 4% so call your HR and figure this out. After you start to contribute, you can put more money into this account on top of that. Most financial experts will say that you need to save at least 10% of your income. This is VERY minimal in my opinion. 15% is ideal, and if you can save more than that, you will be rollin’ in the dough. Of course, you shouldn’t just put that money in to plain savings account earning you a whopping .01% interest, no…… Instead, learn to invest so that you can make 7%, 10%, or even 20% on your hard-earned money. Here is a book that I am currently reading, it’s called InvestEd. It’s written by the daughter of a very successful investor. She explains how she avoided investing for years because she didn’t understand it. Then she goes on to explain investing strategies and how to make a profit that matches your values. Go on, give it read. Another smart way you can use your tax refund is by improving your home. Depending on what you do, home improvements can add significant value to your home. Updating the kitchen has shown to provide the biggest return on your money. Of course there are other things you can do to increase your home’s value such as landscaping, updating the restrooms, replacing the flooring, and even going solar. If you are looking to sell your home in the near future or are looking to get your home appraised to take out a HELOC (home equity line of credit), then perhaps a little investment now may yield a bigger profit in the future. Don’t underestimate the power of giving. You can definitely use your tax refund to give to someone in need or a charitable foundation whose values are close to yours. Depending on how much you give, donating can have a tax advantage. You can write off a donation (if you itemize your deductions). With the new tax reform and the increased standard deduction, small donations will hardly make a dent. But don’t donate for the tax advantage, donate because you want to. One of best ways you can use your tax refund is to invest in yourself. Buy a course to learn a new skill. Take a class. Learn to invest. Expand your knowledge on a subject. Earn a certification to become more qualified for a raise or promotion. All of these things are ways to invest in yourself that will either save you money or make you money. 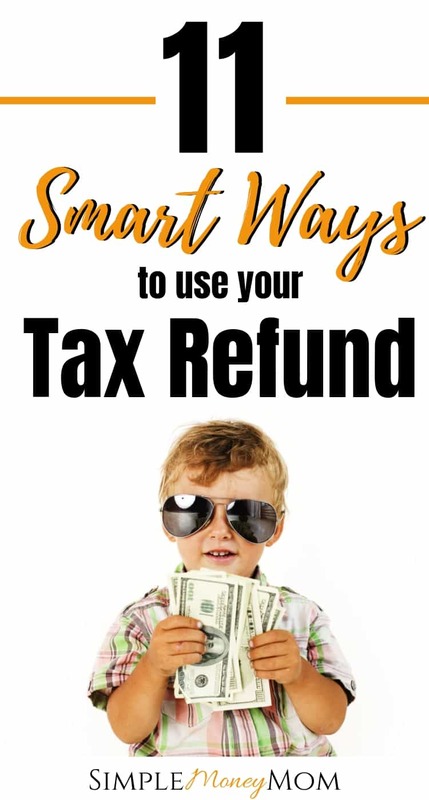 There are many smart ways you can use your tax refund this year. Spend your money wisely and be conscious of your financial decisions, mama. I am here for you.